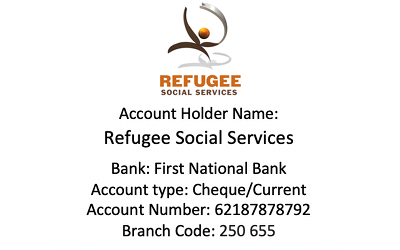 Refugee Social Services (RSS) is a Durban based registered NPO (not for profit organization). 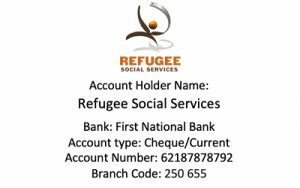 The organization provides social services primarily for refugees and asylum seekers in the Kwa-Zulu Natal Province. Services are mainly located in Durban and Pietermaritzburg as these two cities are the largest in Kwa-Zulu Natal and host the majority of refugee communities. Durban has the larger refugee and asylum seeker population. To be a global leader in providing a holistic quality, innovative service to attain integration and independence. 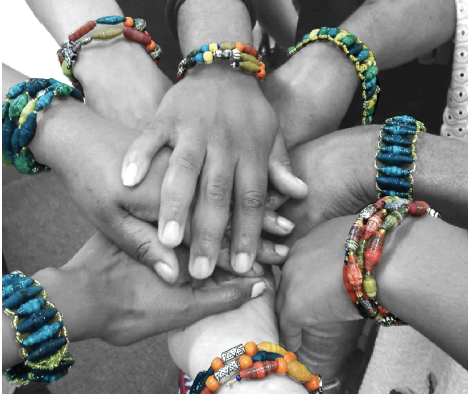 The more nonprofits focus on their mission, the more public confidence they will have. Whether it’s working with children, lending a hand with a maintenance project or joining us in the office. Join us at our special events to help our clients. Every bit helps. A refugee is a person who has been forced to flee his/her country under the threat of persecution due to race, religion, nationality, political opinion or membership in a particular social group; due to conflict and war, and cannot return to his/her country. An asylum seeker is someone who has made an application to be recognised as a refugee but whose application for refuge is still being processed.